Lovely van, I too have a LWB Caravelle but no where near as nice as yours but it will get there. Its fitted out inside but need to modify it over the winter to get it just a little better. Thanks lads! The pictures make it look tidier than it really is, the paint job is awful. These old things are work in progress so we will get there. I need a fair bit of wood work & finish off building the old caravelle side panels around my r&r bed. You got it there, it never stops. Part of the attraction I think. Wouldn't want some immaculate bought thing you'd be frightened to take anywhere. Its as much the build as the use for me. Last edited by S49; 13th October 2018 at 09:55 AM. 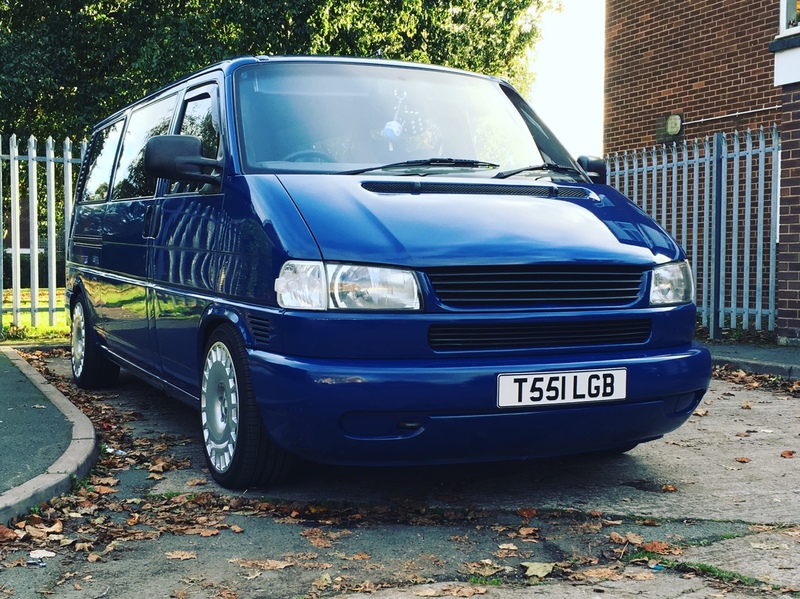 A lad in work has just sold his t4 & swapped for a t5 with full top end set up. He’s afraid of using it incase it damages it. Parks it far end of car parks etc. He’s selling it in spring & getting a t4 again. Mines a life long project, it will never be finished! The other thing that happens is you see others and get inspired/side tracked as no two are the same. Ours is quick release seat in back so I can still do vanman stuff. The blue one we are doing will have the dreaded R and R bed. But its all good ,great that you can do to suit yourself. Last edited by S49; 14th October 2018 at 05:56 PM. Indeed. I’m thinking it could do with being lower after being on here a bit over the weekend. I’m also pricing up a welder to finish my seat frames. It’s inspiring & expensive being on just t4’s. So this weekend I replaced all the vacuum hoses with Samco hose, very easy job but I’d noticed the originals had seen better days. I managed to get a night to myself Friday so I took the dog, my box of high, bottle of Jameson’s & headed to the coast. Ended up on a nice little beach by Abersoch and had a chilled night just the two of us Rare thing since our kids came along. I was home early sat to crack on with fixing my daily (van to the rescue again). I’ve started the massive undertaking of fitting my recaro seats, lots of fabrication involved but will be worth it. I’ve had to strip the seats right back & disassemble the bases. Van had a wash & polish ready for the week ahead. I have always used samco right back to my rs turbo in 1999. Quality hose. I used 5m on the van which is the most I’ve ever used. Samco can be sooooo expensive but cannot recall ever having a split or failure. Buy when there's a deal! I bought the vac hose from a motor x shop, cheaper than our local demon tweeks.